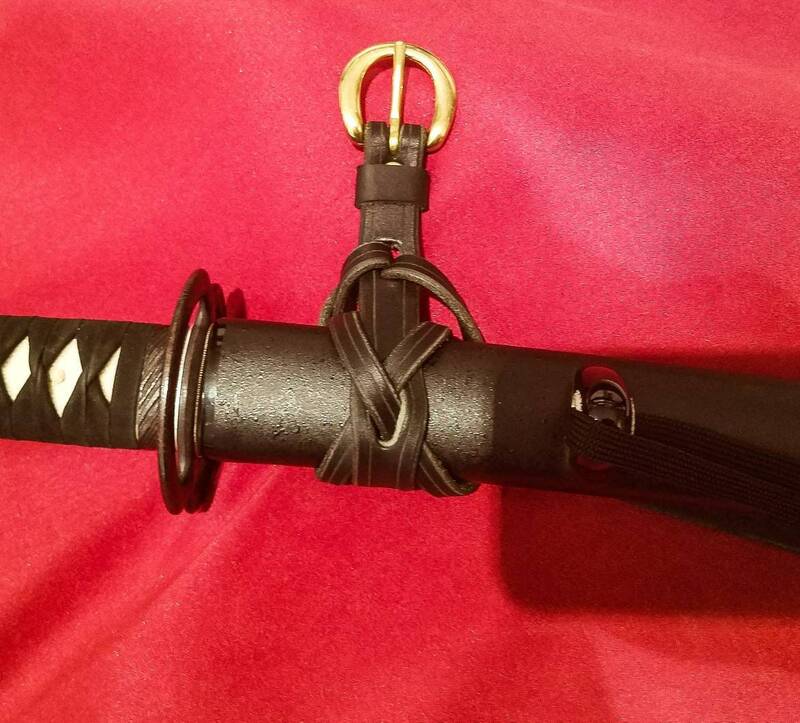 This listing is for a set of straps that can be laced onto the scabbard of a sword to suspend the sword from your belt. 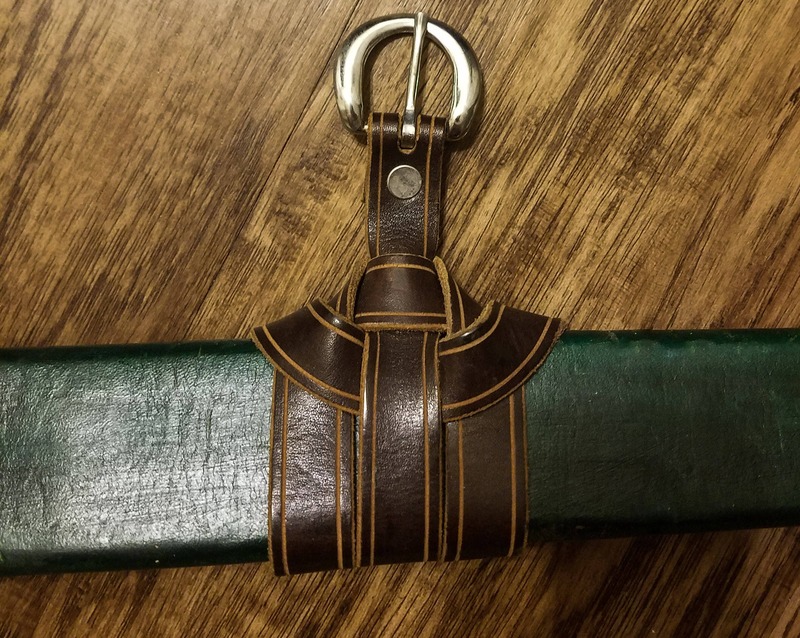 Style 1 is a single strap that splits down the middle and can be laced in and around itself to create an attractive knot that holds onto your scabbard well. Style 2 is a single strap that laces in and around itself to create a simple but secure attachment. 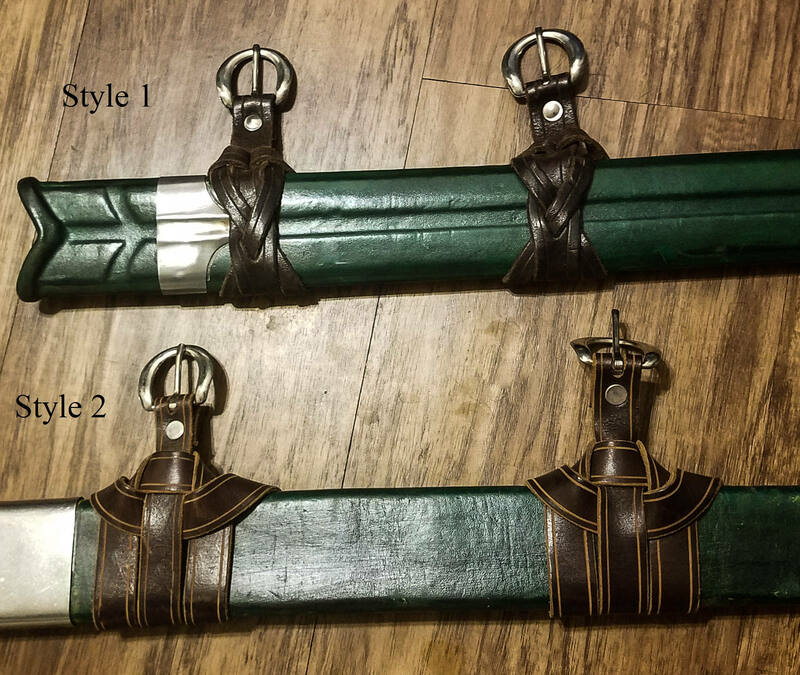 Both styles have a buckle at the end of the strap and each set comes with a long and short belt loop strap which makes it easy to adjust the angle of your sword, and easy to remove without having to undo your belt. 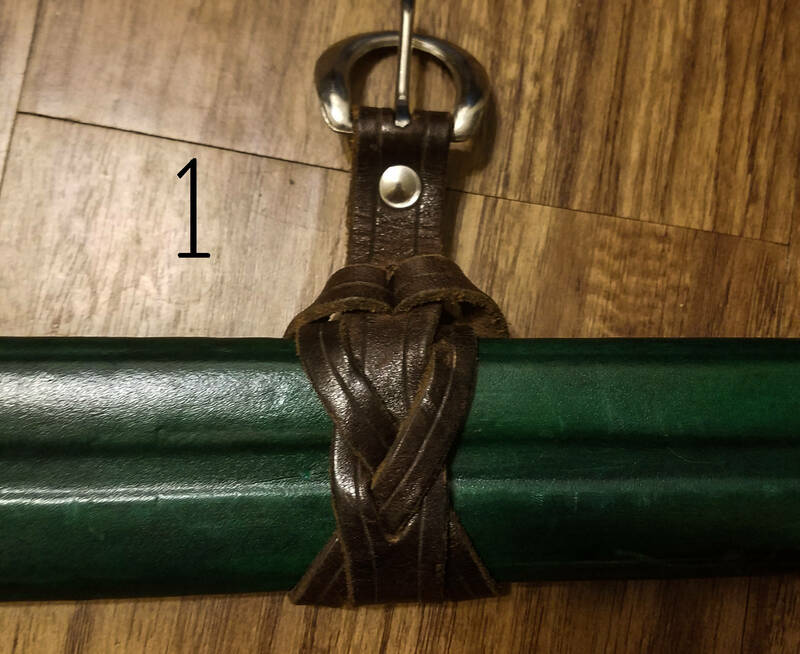 Each style comes with instructions on how to lace them onto your scabbard, the instructions will be emailed to your after your order is placed. As always customization is available, feel free to message me for details. Also, this listing is for the suspension straps only, no sword or scabbard are included with your purchase. 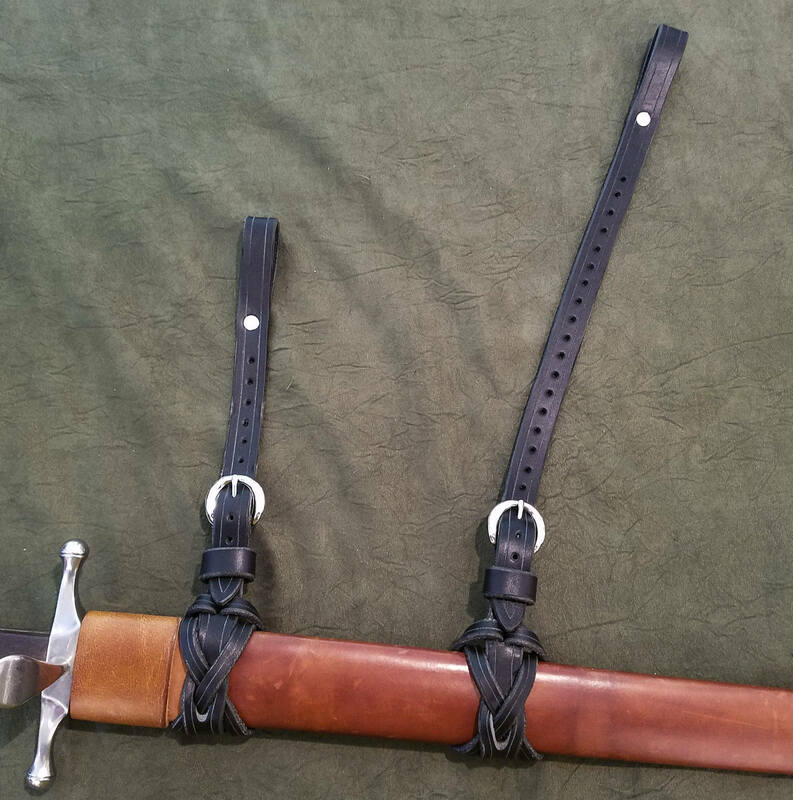 For a belt to hang your sword from, check out the ranger swordbelt listing. Very well made, however I haven't been able to use it as I have not constructed the sword yet. The instructions to attach it to the sheath seem simple enough. Always a pleasure to work with. Thanks again for your time and considerations. Great stuff can be bought here. Seller listens to his customer's needs. Have bought from before, and will buy again.